While all-flash storage providers like [company]Pure Storage[/company] (which so far has raised $470 million in funding as of April) provide similar products, Golan said that his startup stands out from the pack with its proprietary software that powers up its hardware; [company]Kaminario[/company] uses solid state drives and servers from [company]Samsung[/company] and [company]SanDisk[/company]. When a company needs to add more storage to its data centers, usually that company will have to buy more storage arrays, which can lead to buying more capacity than what’s needed, Golan explained. 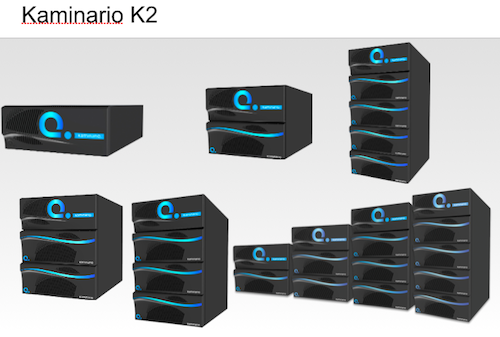 Instead of having to buy more gear every time you want to add storage, Golan claimed that companies can drop Kaminario’s software controllers into their existing Kaminario hardware, which supposedly links together all the hardware in their data centers and allows for better distribution of resources. “This is one system to manage versus islands of systems,” he said. The idea is essentially software-defined storage, which allows for the connection of all of the storage hardware in a data center to be read as one uniform system, thus supposedly making for a more efficient storage system. However, unlike startups like [company]Primary Data,[/company] whose software can link up and control the storage arrays of other hardware providers, Kaminario’s software only works with Kaminario hardware, Golan said. Silicon Valley Bank, Lazarus Hedge Fund and an unnamed public company drove the funding round along with existing investors Sequoia Capital, Pitango Veture Capital, Globespan Capital Partners, Tenaya Capital and Mitsui.